We show people how to be successful with new techniques that reduce costly mistakes and transform failure into success! In order to be successful you have to start making more right decisions. Most people who want to be successful need to be better at that. Too often your decisions don’t lead to the level of success that you want. In fact they often lead to dead ends, disappointment and frustration as they waste your time, energy and money. What causes us to make good or bad decisions? There are 4 kinds of thoughts that influence our decisions. Practical thoughts and intuitive/creative thoughts are the useful ones that lead to success. Ego based and emotional pain based thoughts are the not-useful ones that lead to poor decisions, disappointment, frustration and failure. Most people are not clear about which thoughts are going to lead to positive outcomes and which ones are going to produce no result or even be disastrous. You know what I’m talking about. You’ve had the experience. Sometimes you are really excited about some opportunity. It really sounds good. But you pursue it and it just doesn’t work out. If you’ve had this kind of experience too often you can even start to doubt whether or not you have what it takes to gain the success that you really want. Is it possible to become better at being able to tell the difference between the useful and not-useful thoughts so that more of your decisions lead to success? Fortunately, someone has found a secret formula for being able to do just that! The guy who figured this out is Tom Stone, the founder and Chairman of Inner Greatness Global. Here are the key concepts that Tom discovered for getting much better at knowing which ideas are going to lead to success and which ones will be a waste of time, energy and money. Sensing whether a thought is useful or not-useful doesn’t happen with the mind. Most people are locked into trying to figure things out with their logical mind and don’t realize that this doesn’t work. We know from physics that everything is made of energy. Thoughts are made of energy. There’s a subtle difference in the energy of useful and not-useful thoughts. This energy is present in your body, not your mind, but you are usually caught up in your mind so you miss it. It’s easy to learn this simple technique. Getting good at this takes a bit of training and practice just like learning any new skill but it doesn’t take long. Learning this new technique for clarifying which kind of thought you are having greatly increases your ability to make better decisions and fewer mistakes. A big part of this problem is that your ego is very clever.Your ego is the villain here. It makes you think that the thoughts it creates are your thoughts. Here’s a 2-minute video of experts in psychology and personal development talking about how difficult it is to even recognize when your thoughts are ego based. These experts know how insidious the ego is. But they don’t offer anything for becoming more conscious of it. Tom also discovered that ego based and emotional pain based thoughts have more of an emotional charge to them. Frequently, sensing this emotional charge gets misinterpreted as having passion for the decision. It feels like it has some real energy behind it. And it does! But is it the right kind of energy that’s going to lead to your desired outcome? Usually it’s not. Throughout your life you haven’t known about this concept that there are four different kinds of thoughts influencing your decisions. As a result, you haven’t known that it is important to be able to tell which kind of thought you are having. That’s because all four kinds of thoughts come to us as… thoughts. Although your mind can’t tell the difference… your body can!!! That’s because the energy that causes each kind of thought is possible to experience with your body and senses not with your mind. The energy is experiential, not intellectual. 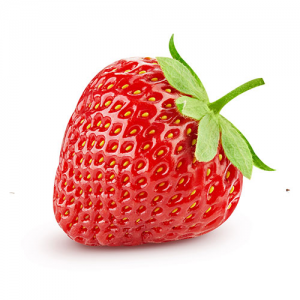 What does a strawberry taste like? To get this distinction consider this example. If you had never before tasted a strawberry and someone tried to describe what a strawberry tastes like to you, even if they talked all day about it you wouldn’t know what a strawberry tastes like. But the moment you take a bite of a strawberry then you know what a strawberry tastes like. This is an important distinction. Descriptions and intellectual understanding happen with the mind and don’t provide experiential knowing. They compare, measure, name, quantify and categorize your experiences but they don’t provide knowing through direct experience via the body and senses. When you have a practical or intuitive/creative thought there is a subtle sensing that occurs in the body. There is a naturalness to such thoughts. One way I like to describe it when you have this kind of thought is that you are “remembering the future.” There’s no emotional charge to them. They are quiet and effortless. When you have an ego based or emotional pain based thought you body can sense the subtle feeling of forcing and unnaturalness. There’s a subtle emotional charge there. However, this subtle feeling isn’t obvious to you. The source of energy that is creating all of your thoughts is coming from your awareness. Your awareness is the reservoir of energy that gives life to every thought, feeling and perception that you have. But the “causes” of your thoughts are different. All four kinds of thoughts are patterns of vibrating awareness. You’ve been having all four kinds of thoughts all of your life. You are so used to them that even the ego and emotional pain based ones “seem” natural to you so you haven’t learned how to sense this subtle difference in the energy of the four different kinds of thoughts. This is the problem. But there is a very simple solution. There is a simple technique for amplifying the subtle energy pattern in the body that allows you to more clearly sense and know the difference between useful and not-useful thoughts. It is called intuition testing or muscle testing. Once you learn how to do this, the difference between the causes of the different kinds of thoughts becomes very obvious. Intuition/muscle testing has to be learned properly. Many people who teach it don’t do that thoroughly enough. So some people who have attempted to learn it haven’t been able to do it reliably. Then they say that it doesn’t work. But this isn’t because it doesn’t work. It’s because they are missing some of the finer details about it that are essential to having it be reliable. Tom Stone has a unique way of teaching muscle testing so that it is highly reliable. He’s has been teaching how to do this kind of testing for 25 years and has taught thousands of people how to do it accurately and reliably. Once you know how to do it, you can use it to tell which of the four kinds of thoughts a particular thought is. This is an incredibly useful tool. It finally provides a way to make conscious something that has been unconscious. It finally makes it possible to know which kind of thought you are having. Certainly once you know which kind of thought you are having you have a much better possibility of making your decisions and resulting actions be based on your practical and intuitive thoughts and not making decisions and taking action based on the ego and emotional pain based thoughts! But there’s more good news. Tom also discovered new techniques for transforming the patterns of energy of the ego and emotional pain based thoughts so that the energy patterns quickly dissolve. This permanently removes the cause of the thoughts that undermine success. When done properly, the energetic cause of that particular thought no longer exists in your body. The other kind of not-useful thoughts are the ones that are caused by unresolved emotionally painful experiences that you had in the past. The energy patterns that create the emotional pain based thoughts are different than the patterns that create the ego based thoughts. Fortunately, Tom discovering exactly how to resolve the energy patterns of both the ego and emotional pain based thoughts. Here’s a chart of the two different kinds of emotional energy patterns. The ego based thoughts (Reactive/External) are primarily resolved with the OUT Technique. The emotional pain based thoughts (Painful/Internal) are primarily resolved with the IN Technique. The IN and OUT Techniques can neutralize the energy patterns of your not-useful thoughts. Each time you resolve one of the energy patterns of the not-useful emotions you have more access to your awareness. It’s cleaning up your inner emotional landscape. The energy patterns that make up the ego and emotional pain based thoughts are the only real barriers to making more right decisions and fewer costly mistakes. 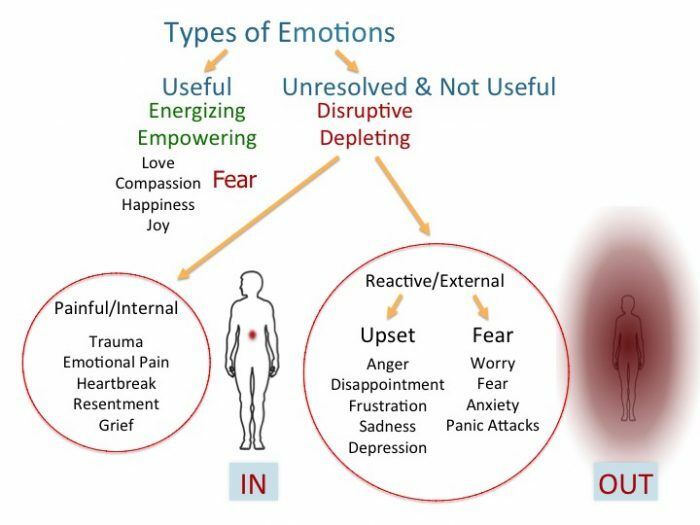 Checking the types of emotions chart above you will see that there are 2 techniques for eliminating the energy patterns that create ego and emotional pain based thoughts, The ego based thoughts (Reactive/External) are primarily resolved with the OUT Technique. The emotional pain based thoughts (Painful/Internal) are primarily resolved with the IN Technique. By learning and using the IN and OUT Techniques can neutralize the energy patterns of your not-useful thoughts. Each time you resolve one of the energy patterns of the not-useful emotions you have more access to your awareness. It’s cleaning up your inner emotional landscape. The energy patterns that make up the ego and emotional pain based thoughts are the only real barriers to making more right decisions and fewer costly mistakes. Tom is giving some live demos of using these extraordinary techniques to identify and resolve the kinds of inner barriers that cause you to make mistakes and limit your success. These demos will be done via the zoom video conferencing system on the web. If you would like to see one or more of these demos or better yet, have one of these demos yourself, email us using this Contact Us form. To see one or more of these live demo webinars on how to remove the energy patterns in your body that cause you to make costly mistakes, join our email list using the form below. You can click any of the check boxes in addition to the one Success 101, and click Submit. If you are already on our list but would like to get info about additional topics you can use the same form below to update your profile. Just enter the email address that you used when you signed up and then check the check boxes of the topics that interest you. We have segmented the list so that we don’t bother you with emails about topics that don’t interest you. You don’t realize the extent to which your ego and emotional pain based thoughts are sabotaging your success and creating all kinds of problems in your life caused you to make lots of costly mistakes. But you can find out quickly because Tom can test remotely for you to determine this. 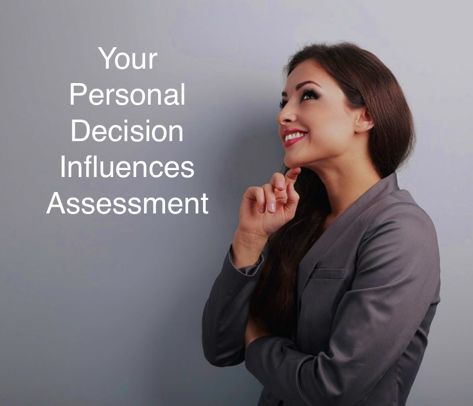 You can get your own personalized Decision Influences Assessment and a detailed explanation of what it means. Normally to get just the assessment is just $27.00. If you’d like to get that click on the image below. However, before you do that you should know that the Decision Influence Assessment is included in the Freedom From Illusions Training program and the first online version of the Freedom from Illusions Training is about to start very soon. You can join it now and take it live with Tom or you if it is already past the live training you can take it from the recordings of the series of webinars which you can take are your own pace. 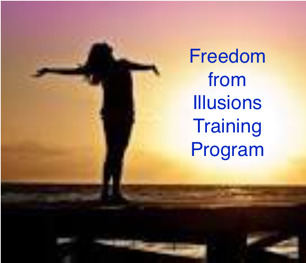 The Freedom from Illusions Training is just $277.00 with early registation. Once you get your decision influences assessment you will see how much your decisions are being influenced by your ego and emotional pain based thoughts. Then you will want to do that Freedom From Illusions Training anyway to start getting rid of the invisible influences that have been sabotaging your life. Click on the appropriate image below to get started now! To get announcements about free demo sessions, online courses and other important messages, join our special email list for that purpose. Check the boxes for all of the topics that interest you.